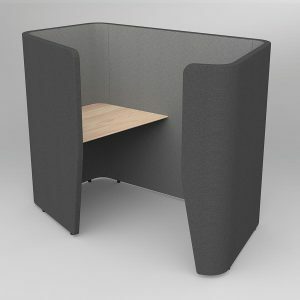 Motion Zip work pods provide a high level of acoustic and visual privacy, allowing workers to complete focused individual tasks in a comfortable environment. Includes 1x Motion Zip worktop. Motion Wave work pods provide a good touch down space for individual tasks. 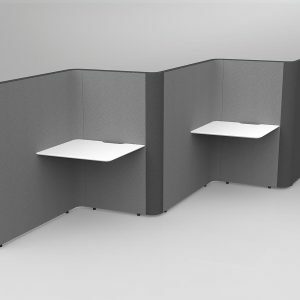 They are very space efficient, providing a small amount of acoustic and visual privacy for workers. Includes 2x Motion Wave worktops. 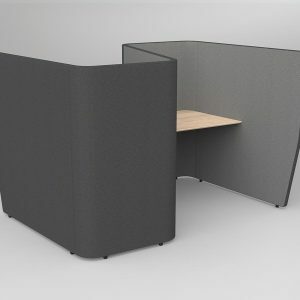 Motion Zip work pods provide a high level of acoustic and visual privacy, allowing workers to complete focused individual tasks in a comfortable environment. 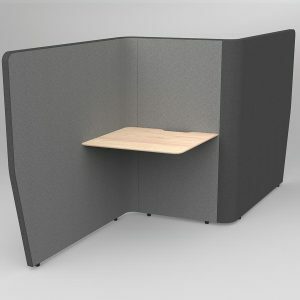 Includes 2x Motion Zip worktop. Motion Wave work pods provide a good touch down space for individual tasks. 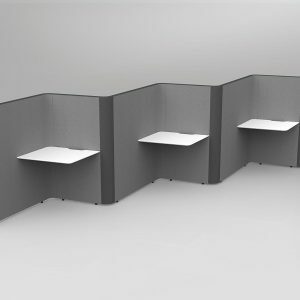 They are very space efficient, providing a small amount of acoustic and visual privacy for workers. Includes 4x Motion Wave worktops. Motion Zip work pods provide a high level of acoustic and visual privacy, allowing workers to complete focused individual tasks in a comfortable environment. Includes 3x Motion Zip worktop. Motion Wave work pods provide a good touch down space for individual tasks. They are very space efficient, providing a small amount of acoustic and visual privacy for workers. Includes 6x Motion Wave worktops. Motion Zip work pods provide a high level of acoustic and visual privacy, allowing workers to complete focused individual tasks in a comfortable environment. Includes 4x Motion Zip worktop. 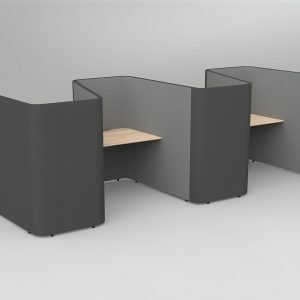 This shared workspace is ideal for teams of up to 4 to cluster, providing a focussed zone for individual work with the ability to easily collaborate with the people nearby. 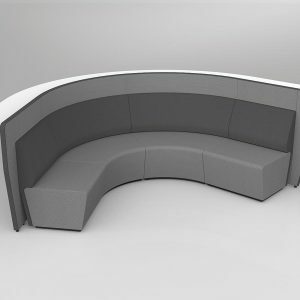 Motion Team is designed to create a defined zone for individuals who collaborate regularly throughout the day. 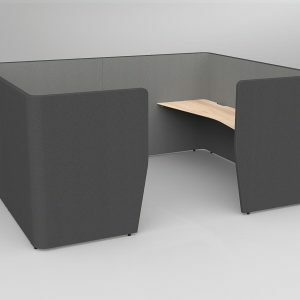 Includes 1x Motion Team worktop. 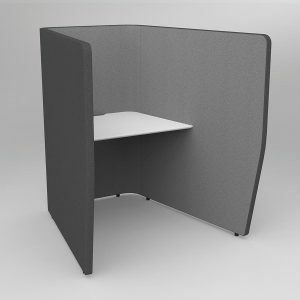 Motion Expo is ideal for workplace presentations, providing 2 defined tiers for workers to gather around. The screens provide some acoustic privacy and help to define the area for its use. The bar leaner height desks provide space for laptops or notebooks as required. 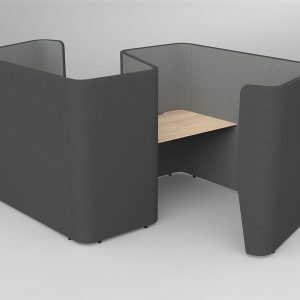 This shared workspace is ideal for teams of up to 4 to cluster, providing a focussed zone for individual work with the ability to easily collaborate with the people nearby. Motion Team is designed to create a defined zone for individuals who collaborate regularly throughout the day. 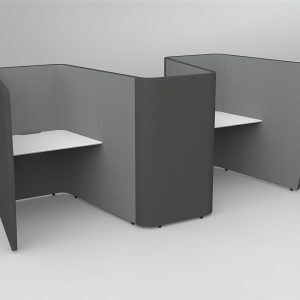 Includes 2x Motion Team worktops.